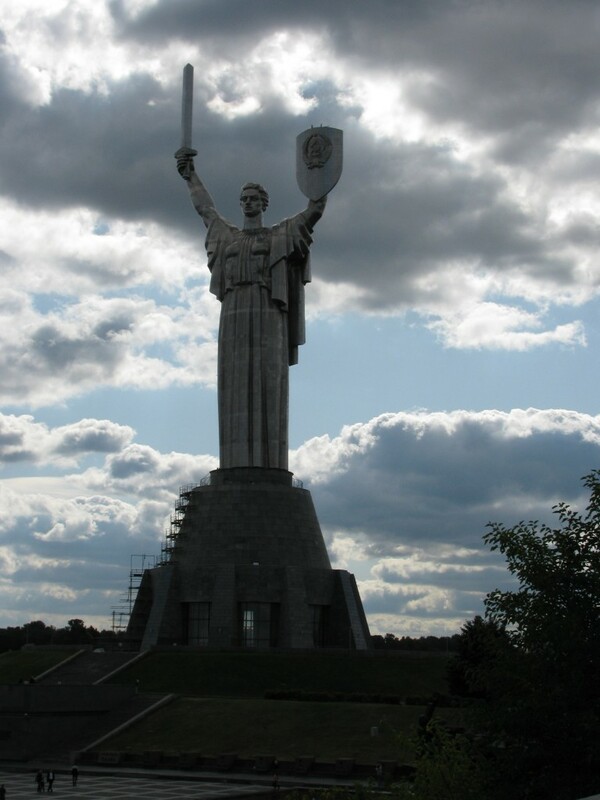 “Mother Motherland” (Ukrainian: Батьківщина-Мати), an enormous and impressive statue in Kiev (Kyiv), Ukraine. For more information check Wikipedia. But just checking out the size of the humans at the bottom of the statue should give you some idea of the size. 19 Sep 2009. Mother Motherland. Kiev/Kyiv, Ukraine.